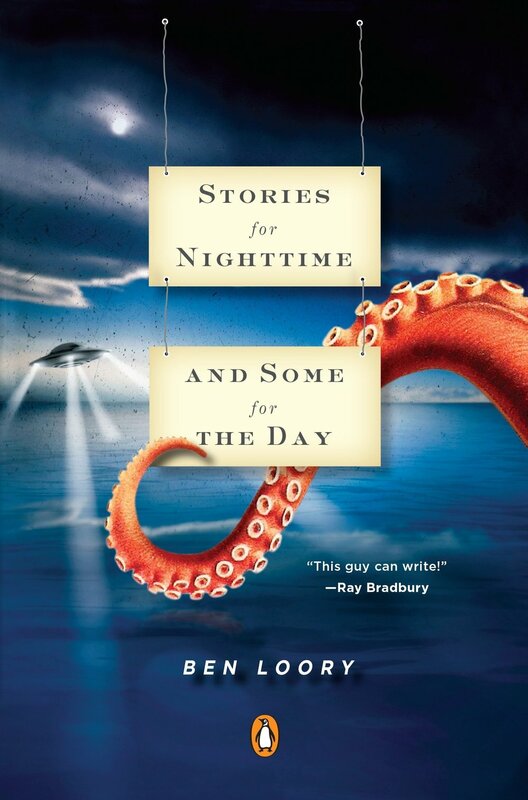 When I think of author Ben Loory, I think of 4,000 short stories stacked neatly on a desk. I think of coffee cups and an array of pens. I think of sci-fi stylings and monster tales. I think of fables worthy of a cartoon series. After reading an interview between Loory and Bud Smith earlier this summer, I came across a story in Wigleaf and craved more. More short stories, more interviews, more everything. Thankfully, he has two collections of gripping, surreal, tender yet dark short stories (2011’s Stories for Nighttime and Some for the Day and 2017’s Tales of Falling and Flying) as well as a children’s book (2015’s The Baseball Player and the Walrus). With another collection of stories in the works, I spoke with Loory about his writing routine, his surgeon dreams, and a prompt involving an obituary. I listened to your episode of the Otherppl podcast (from last August) and you said that you write in 25 minute timed intervals. Does this still hold true? Do you still have trouble pulling yourself away from the blank page? Your children's book, The Baseball Player and the Walrus (while not being twisted or dark), still reads like another great Ben Loory tale. Do you have plans to write more children's literature in the future, and additionally, do you see any of your already published stories being well liked by little ones? I'm really glad you liked The Baseball Player and the Walrus! I really loved it, I thought the illustrations were perfect. I didn't actually set out to write that as a children's book, though-- that was just another story I wrote, like all the others stories-- that then, through some long and intricate process I still don't really understand (my friend, the author Cecil Castellucci made it happen)-- somehow came to be made into a children's book. I'd be happy to have that happen again, but I'm not really interested in writing specifically for children, any more than I am writing for "grownups" or any other demographic. I just write my stories and then however they get out there and whoever reads them and likes them, that's great, is my attitude. I don't know how to write for any audience but myself. On the other hand, I do love hearing that children like my stories-- because when children say it, you know that they mean it! They haven't yet learned to lie about stories and say they don't like the ones they actually do and vice versa. Surprisingly, the kids always seem to like my story "The Swimming Pool," which is weird because that one really scares the hell out of me. Since you first starting taking your writing seriously, what's the longest you've gone without writing a single word? Probably about a year. There were two major dry spells-- one in 2008, and another in 2013. They happen; sometimes life gets in the way. Plus I'm manic-depressive so every now and then it really just feels like my brain stops working, and then I have to go just lie in bed and stare at the wall for a while. Well, I just write stories, so hey, I'm writing stories! Should have a third collection ready to take the Penguins soon. After that, I'll probably write another story collection. And after that, probably a collection. At some point I will probably try to write a screenplay again. But hey, no rush on that. I like stories. I found a YouTube video of you reading "The Dodo" from Tales of Falling and Flying. Do you often read your pieces out loud during the editing process? Have you ever considered doing an audio component for your stories? I would love to do the reading for the audiobooks, and in fact I was supposed to do the one for Tales of Falling and Flying, but then there was a scheduling problem. And yes, I compose and edit and polish out loud-- my stories are essentially oral literature on the page. Basically I just sit there and tell the story out loud to myself a hundred million times, until finally it gets to the point where I can get all the way through it without cringing. That's how I know the story's all done and good. It's easy to let things slide in your own writing when you're just looking at it on the page, or "reading it in your head." But as soon as those words start moving through your body, it becomes very clear when things are working and when they're not. Looking at your Wikipedia, it says you are also a musician who plays mandolin and saxophone. HUGE IF TRUE. Do you still make music? And do you play any additional instruments? Ah, those were the days! But no, I haven't played in a band in over ten years. I grew up playing piano and then alto sax and guitar (though I was never very good at any of them). Later I joined a band where everyone in the band was amazing, and there were already four guitar players, so I started picking up other instruments, just to fill in the holes. Mandolin, bari sax, even accordion sometimes. I just sorta faked it and found melodies on whatever was at hand. I miss playing music-- it was always such a joy, as compared to writing, which is often like slogging out to battle day after day. But I'm a much better writer than I ever was a musician. Still, though... hopefully in another life. Lately there's a lot of doom-- Witch, Electric Wizard, the Melvins (always the Melvins! ), the new Sleep, Dead Meadow, etc.-- plus a ton of Townes Van Zandt and Gillian Welch, as per usual. There's always Bach and Bartok, and a lot of Charlie Parker. Also I recently got super into Joy Division? But that only lasted about a week. Outside of your own writing, what have you been reading recently? I read pretty voraciously, especially when I have work to do. So, in the last couple weeks: Idiophone by Amy Fusselman, Cherry by Nico Walker, Jodorowsky's Panic Fables and The Incal and The Finger and the Moon. Floating Staircase by Ronald Malfi, Houellebeqc's The Possibility of an Island, Under the Sea by Mark Leidner, Krishnamurti's Freedom from the Known. Right now I'm reading Into the Distance by Hernan Diaz (which is fantastic) and Joyce Maynard's memoir At Home in the World. The best books I've read this year so far have been The Fact of a Body by Alexandria Marzano-Lesnevich, Sorry to Disrupt the Peace by Patty Yumi Cottrell, The Possessed by Elif Batuman, Ill Will by Dan Chaon, Garbage Times/White Ibis by Sam Pink, and When We Were Someone Else by Rachel Groves (which I loved and wrote a blurb for and is coming out in the fall). Plus Brian Evenson's nonfiction/essay/memoir Raymond Carver's What We Talk About When We Talk About Love, which is one of the most startling books I've ever read. Given your two book titles, have you had any recent dreams / nightmares worth sharing? My dreams are pretty dumb, usually-- I'm mostly just wandering around in a maze or can't remember how to get back into my house or something. I did have a good one a few weeks ago where I rose up out of my own chest during heart surgery (I've never had heart surgery). It was like, the surgeons cut into me, and then somehow I just stood up out of the inside of myself. I was looking down at myself lying on the table, all the doctors looking up at me. No one knew what to do. That was a weird one. My favorite exercise is a two-step one: first, make up a character and write their obituary. Make sure to hit all the important life facts! And then, second part, write a scene-- a single, random, non-dramatic moment from that person's life, that reflects who they were, how they acted and lived, without ever making mention of anything in the obit. The point is to learn to see characters as inhabited bodies, as beings in the world, instead of just a mass of facts. Do you have any advice for writers working on their craft? I am devoid of wisdom and have no shout-outs. But everyone should take the night off and watch Sneakers.